Armin Hornung who took these series of great photos has kindly allowed me to host this photo. Most of these images are large but have been reduced in size some what or in some cases cropped if you require better quality images please email me. If any Photo's are used please link back to us. In the United States of America a variety of peoples, united by a shared belief in social and economic freedom, have built the most prosperous and powerful nation on earth. Abundant resources, a climate and soils ensuring plentiful food supplies, and an open society rewarding individual energy and initiative, were all advantages from the beginning. In addition, huge oceans on both eastern and western coasts isolated America from the troubles of Europe and Asia, and its relations with Mexico to the south and Canada to the north were generally benign. 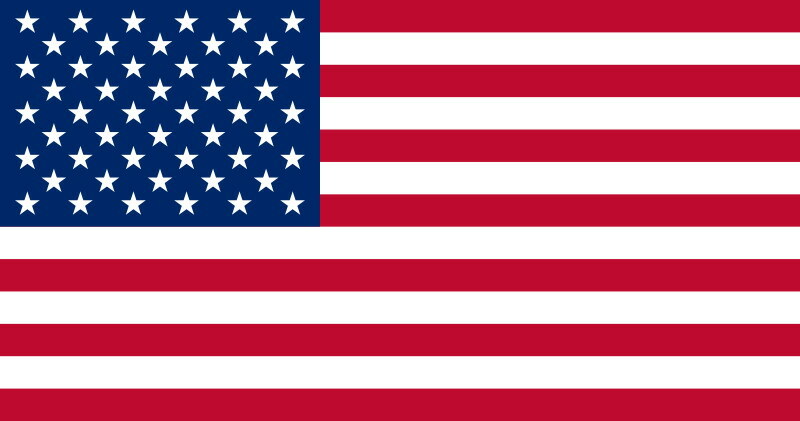 Starting with these favorable conditions, and guided by the ideals of democracy and freedom, the United States of America-in this respect unique among nations­ successfully invented itself according to its own political and social ideals. The most serious danger to its existence was self-inflicted. From 1861 to 1865 the US was wracked by a civil war in which the implications of universal human liberty were played out in a struggle between slave-owners in the south of the country and slave-liberators in the north, but the nation survived. Later, in the face of widespread domestic opposition, the US entered the First World War in 1917, its military strength leading to Germany's defeat. Even more decisive was its role in the Second World War between 1941 and 1945, in alliance with Great Britain and the Soviet Union, when its industrial power and military might ensured victory over both Germany and Japan. After 1945, challenged for superpower supremacy by the Soviets, it engaged in a protracted trial of strength known as the Cold War. This ended in 1989 with the collapse of the USSR and its communist allies, leaving America stronger politically and economically than ever before. On September 11th 2001, terrorist attacks on the World Trade Centre in New York led to the US declaring a "War on Terrorism" and the subsequent mobilization of troops against the Taliban regime in Afghanistan. Military operations continue against the terrorist al-Qaeda forces. The economy is the most powerful diverse and technologically advanced in the world. But prosperity, like other industrial societies, is com­bined with a variety of problems: drug addiction; crime; long-term unemployment in some sectors: racial tensions: air and water pollution in several areas; traffic congestion approaching "gridlock" in major cities: and rising medical costs. Physical features and land use Mainland United States can be divided into three major physical regions. The eastern part consists of the range of the Appalachian Mountains and the coastal plain that runs along the Atlantic Ocean The broad basin of the Mississippi and Missouri Rivers comprises the central section. The Western region is composed of mountain ranges, desert landscapes, and the land along the Pacific coast. In addition, there are two outlying sections of the country-Alaska and Hawaii. In eastern North America the Appalachians, a band of sedimentary mountains and plateaus which are still widely forested, extend from northern Alabama to the Gulf of St Lawrence. They consist of a number of parallel ranges, including the Blue Ridge Mountains in Virginia and the Great Smoky Mountains along the North Carolina-Tennessee border. For a long time these ranges constituted a barrier to inland settlement. In New York State the valley of the Mohawk River divides the mountains of the Appalachians from the Adirondacks, which are a southern extension of the ancient granite mass of the Canadian Shield. Traveling up this valley, from east to west, the early settlers were able to find a way through the range that led on to the land bordering the Great Lakes and the Ohio country beyond. The original vegetation on these mountains was broadleaf deciduous forest of oak, ash, beech, and maple, grading into yellow birch, hemlock, and pine toward the north. During the eighteenth and nineteenth centuries much of this forest area was cleared for farming, but declining agriculture in New England and the abandonment of farmland has brought widespread regeneration of tree growth. Flying across eastern America, much of the landscape still gives the impression of continuous woodland. The coastal plain to the southeast through the Carolinas and Georgia is generally low-lying, and includes many areas of swamp. Nearly 1,700 km (more than 1,000 miles) of barrier islands and sandbars run parallel to the shore and are popular seaside resort areas for the inland population, despite being exposed to occasional hurricanes. To the west of the Appalachian Range lies the enormous continental drainage basin of the Mississippi-Missouri system. This basin is about 2,500 km 0,500 miles) wide, extending south from the Canadian border to the Gulf of Mexico. At its northern limit there are the hills along Lake Superior, a vestige of the Canadian Shield. What are called the Central Lowlands of this drainage basin arc bounded on the east by the low plateaus of Kentucky and Tennessee. To the west of the Mississippi lie vast areas planted in wheat, and eventually grasslands, as the Great Plains reach 1,500 km (900 miles) across to the foothills of the Rocky Mountains. Once the home of such tribes as the Mandan, the Omaha, and the Kansa Indians (settled farmers near the Missouri River), and the nomadic Black­foot, Crow, and Arapaho further west, most of the plains had been taken by incoming ranchers and farmers by the end of the nineteenth century. Former range land was planted in wheat and maize. These crops were hugely productive at first, but over cropping and dry years led to severe soil deterioration in the first decades of the twentieth century. This reached a climax in the disasters of the 1930s, when a large part of the region became a "dustbowl." Although diversification of grain crops, contour plowing, and widespread irrigation have helped to restore agricultural productivity, some areas are still highly sensitive to climatic variation, especially where the original terrain was semi-desert. Combined with fluctuations in grain prices, agriculture remains a risky business in a region where much of the land is marginal. The mountain ranges of the western Cordillera, as it extends south from Canada, are divided by a number of high plateaus and deep valleys. There are two main systems, to the west and the east. The northern and central Rocky Mountains are the eastern arm facing out across the Great Plains, with the Grand Tetons forming spectacular ridges in Wyoming. The southern Rockies of Colorado and New Mexico-the remains of an ancient granite plateau-are also weathered into a series of striking peaks. In Colorado there arc more than 1,000 mountains of 3,000 m 00,000 ft) or more. As with the mountains on the cast of the continent, the Rockies were a major obstacle for westward­ heading settlers. One major route lay through the Wyoming Basin, a rangeland where bison once grazed, and where yesterday's pioneer trails have become interstate highways. On the lower slopes of the Rockies grow a mixture of Pinon pines and Juniper scrub, with Ponderosa pine, Spruce, and Fir at higher altitudes. Wildlife includes elk, deer, moose, mountain sheep, bear, and a variety of smaller animals. National Parks such as Yellowstone and Grand Teton provide an opportunity to see these animals in dramatic natural settings, and draw millions of visitors to the region every year. High plateaus, rocky ranges, and desert basins extend westward across the states of Utah, Arizona, and Nevada, seamed in many places by vast, abrupt canyons, of which the Grand Canyon of the Colorado River is the most spectacular. On the Pacific side of these plateaus is the western branch of the cordillera. This forms a chain of mountains consisting of the Sierra Nevada in the south and the Cascade Range to the north. Stretching from Washington through Oregon to Lassen Peak in California, the Cascades include several large volcanoes, Mt Saint Helens erupting violently in 1980. The Sierra Nevada faces out over the fertile Central Valley of California, with its fruit and vegetable growing, viticulture, cotton, other crops, and livestock. In the early days long dry summers made farming difficult in the Central Valley. Melt­water from the snows of the Sierra Nevada, much of it diverted in lengthy canals, now provides summer irrigation. Beyond the Central Valley on its western side rise the comparatively low Coast Ranges, running parallel to the Pacific shore all the way from the Mexican border to Canada. Together, the Coast Ranges, the Cascades, and the Sierra Nevada, all serve to keep precipitation away from the interior plateaus and create its arid landscape. East of the Cascade Range in the Pacific Northwest lies the Columbia Basin. Here, the meltwaters of ancient glaciers have cut deep gorges in the land. In western Washington the most spectacular trees consist of Douglas fir, western hemlock, and Sitka spruce, some almost as tall as the giant redwoods of northern California. The wealth of the US North­west was originally based on timber from the huge conifers that covered the Cascade Range. The two non-contiguous parts of the US have very different physical landscapes. The expansive state of Alaska is a mixture of massive glaciated mountains and broad river valleys, with a vege­tation cover that varies from dense forest to sparse tundra. For much of the year, large areas of Alaska are covered in snow. The Hawaiian islands mostly consist of the tops of prominent volcanoes which protrude above the sea, with a host of distinctive plants nUl1ured by the tropical climate. The first peoples to settle North America probably crossed from Siberia to Alaska during the ice ages between 10,000 and 30,000 years ago. It is thought they became the ancestors of the many Indian tribes living in North America when the first Euro­peans arrived. Their cultures varied widely, from the Iroquois who lived in bark lodges in the east, to the cliff-dwelling Pueblo peoples of the west, to the salmon-fishing and whale-hunting Northwest Coast Indians of Washington State and British Columbia, who lived in large timber houses. Plains Indians such as the Sioux or the Comanche are sometimes depicted hunting bison on horseback, but this was only possible after horses had been introduced by incoming European settlers from the fifteenth century onward. The oldest authenticated European settlement in North America was made by Norse Vikings at the northern tip of the island of Newfoundland about AD 1000, but it was occupied for only a short time. The first successful English settlement was at Jamestown, Virginia, in 1607. Not long after this a party of religious dissenters, the so-called Pilgrim Fathers, arrived in 1620 to found the first of the New England colonies at Plymouth. Joined by other migrants later, this became part of the large Massachusetts Bay colony. A Dutch colony on Manhattan Island (founded in 1624) was captured by the British in 1664, and who then changed its name from New Amsterdam to New York. The Quaker William Penn founded one of the more successful of the early English colonies in 1682. Part of Pennsylvania later split off to become Delaware; North and South Carolina were established in 1663; Georgia, originally designed as a philanthropic alternative to a debtor's prison, in 1732. The defeat of the French, which ended the Seven Years War in 1763, brought huge territorial accessions to England: all of France's Canadian territories, the land west of the Mississippi River, plus Louisiana and Florida. The settlers throughout these areas became directly subject to the British Crown, and when London sought to recoup the huge expenses of the war (about £101,500,500) by imposing taxes, the cry of "No taxation without representation" was raised in Boston, and resis­tance to England began. When the American War of Independence broke out in 1776 George Washington commanded the troops, and when it was won and the first elections were held in 1788 - he became the inaugural president. In the after­math, tens of thousands of "loyalists" moved north to Canada. The British government had forbidden west­ward expansion beyond the mountains of the Appalachians. After independence, however, this took place with a rush. Indian tribes were quickly dispossessed from the area and exiled, their land taken for farms, and throughout the nineteenth century there was a series of wars in the region to crush resistance. The last armed Indian defiance collapsed with the Ghost Dance Uprising of 1890. But by far the most serious crisis for the new nation was the American Civil War of 1861 to 1865. This was both a clash of ideals (liberty versus servitude) and of ways of life (the industrializing, modern north versus the old agrarian south). Led by the eloquent commonsense of Abraham Lincoln, the northern forces of the Union defeated the southern armies of the Confederacy, but the legacy of bitterness lasted for many decades. Meanwhile, westward expansion proceeded apace. Pioneers followed trails explored by men such as Lewis and Clark. Railroads spanned the continent, coal and iron were discovered and used, and new cities such as Pittsburgh and Chicago grew up in the interior. European migrants pouring in through the ports of Boston, Philadelphia, and New York substantially changed the nation's ethnic composition. Manufacturing cities, which were big markets in their own right, developed along the shores of the Great Lakes, while the mechanized farming of the Midwestern "corn belt" turned it into the granary of much of the Western world. The history of California differed from that of the rest of the country in many ways, in that it was a part of Spanish conquest rather than of English settlement. The small, semi-nomadic hunting and seed-gathering Indian cultures of the area were little affected by the spread northward of Spanish forts and missions from New Spain (Mexico) in the 1700s. But by the middle of the nineteenth century pressures from land-hungry pioneers moving in from the eastern states were irresistible: by the end or the century the whole or the southwest, including Texas, had been either ceded, purchased, or annexed. Since then the Pacific Coast economy has passed through various stages, from gold prospecting and lumbering, through agriculture, the expansion of the aircraft industry after the Second World War, to the highest of high-tech today in Silicon Valley south of San Francisco Bay. Once independence was established by the beginning of the nineteenth century, the US kept Europe at arm's length, and the Monroe Doctrine warned Europe that the representatives of the old empires-Spanish, Portuguese, and British ­were not to intervene in the Americas any more. Isolationism was the other side of this doctrine: the US had no wish to be entangled in Europe's troubles. But as the US developed into a major global power this disengagement was no longer possible. In two world wars in the twentieth century American military intervention was decisive, and with the onset of the Cold War, designed to contain the Soviet Union after 1945, it was prepared to intervene wherever it saw the need. However, subsequent action in Korea from 1950 to 1953, and in Vietnam from 1964 to 1975, both with heavy loss of US lives, has made the nation less enthusiastic about overseas military commitments and the risks and casualties of policing trouble-spots (Haiti, Somalia, the Persian Gulf) are often unpopular at home. Generally the American mood is inward-looking, more concerned with domestic than with foreign affairs. The US is a prosperous, industrial, capitalistic democracy, in which anyone with training and skills who is prepared to assimilate can usually find a place. It is the most open multicultural society on earth, which is the main reason why there are so many people from other countries wanting to live here. In addition to its huge numbers of legal immigrants (the US still has the highest legal immigration level of any country in the world) illegal entry is estimated to bring in up to one million people a year. The descendants of the original Native American inhabitants are a small but not insignificant element of the population. People arriving from overseas were at first mainly English, and with those of Scots and Irish descent dominated all other arrivals from the other side of the Atlantic until the middle of the nineteenth century. During this period the only other major ethnic group to arrive, were African slaves imported to work the plantations in the South. After the Civil War, however, mass immigration was encouraged, and a flood of migrants arrived from Italy, Scandinavia, Germany, the Balkans, and various troubled parts of Eastern Europe, including Russia. Many were Jews fleeing poverty and pogroms. In the 60 years up until 1920, 30 million people arrived, radically changing the ethnic composition of the country. Although there were national concentrations in specific neighborhoods (such as Little Italy in New York) the ideal of assimilation ensured that by the middle of the 20th century most new arrivals, or their children, had come to share the benefits of other citizens. More recently there has been an influx of Japanese, Chinese, Filipinos, Cubans, Vietnamese, Koreans, and large numbers of Mexicans and Central Americans. In some places, Puerto Rican, Cuban, and Mexican groups provide a strongly Hispanic cultural orientation. One group of long-term residents did not enjoy full participation in American life. These were the African-Americans descended from the slaves, who became increasingly concentrated in the cities. Long after the Civil War systematic discrimination barred them from jobs, and from equal access to housing, commercial premises, public facilities, and education-even forcing them to sit at the back of the bus in the old slave states. As a result of agitation and affirmative action, the second half of the twentieth century saw the legal rights of African-Americans secured. What remains, however, are inequalities which law alone seems unable to resolve. In the cities, many African-Americans remain part of an underclass plagued by unemployment, drug addiction, crime, and unstable family life. The US economy is the largest among the industrial nations, possessing an invaluable combination of skilled and unskilled labor and natural resources. Internationally, it is the most powerful, diverse, and scientifically advanced. With the early application of research and technology, agriculture developed into a highly mechanized industry for food production and processing, with a distinct zonal pattern across the country. Dairy farming predominates in a broad belt from New England to Minnesota. Further west, where the climate is drier, wheat is grown. The corn (maize) belt, highly productive land which was once prairie and forest, consists of the maize-growing eastern and central states from Ohio to Nebraska. Maize is mainly used for feeding to cattle and pigs. In the warmer southern states where cotton and tobacco were grown-the old "cotton belt" a variety of other crops are now also cultivated, from vegetables to fruit and peanuts. There has been a strong tendency for farming to move from small to large-scale operations and from labor­ intensive to mechanized. Although agriculture's share of gross domestic product is only 2 %, the US remains a leading producer of meat, dairy foods, soy beans, maize, oats, "-'heat, barley, cotton, sugar, and forest products. Despite 20 years of strong competition from Japan and various other Asian economies, the giant US economy remained resurgent throughout the 1990’s. One reason for its success may be the greater flexibility of US capitalist enterprise when compared with either Asia or Western Europe. A labor market responsive to changing demands is another factor, and over the last 20 years there has been a huge shift in employment from manufacturing to services. US unemployment remains today one of the lowest in all the major industrialized states. But the main reason for the health of the economy is probably its dynamic technological inventiveness. In every field, US firms are at or near the frontier of technological advance. This is especially so in computers, medical equipment, and aerospace. The advantages of this onrush of technology are obvious. But there are major social costs as well. What is called a two-tier labor market has evolved in which those at the bottom lack enough skills and education to compete, failing to get pay rises, health insurance cover, and other benefits. Despite the economy's basic good health, marked by low inflation and low unemployment, debate continues on how a number of its continuing problems should be addressed. These include low rates of saving, inadequate investment in infrastructure, the rising medical costs of an ageing population, large budget and trade deficits, and the stagnation of family income in the lower economic groups.